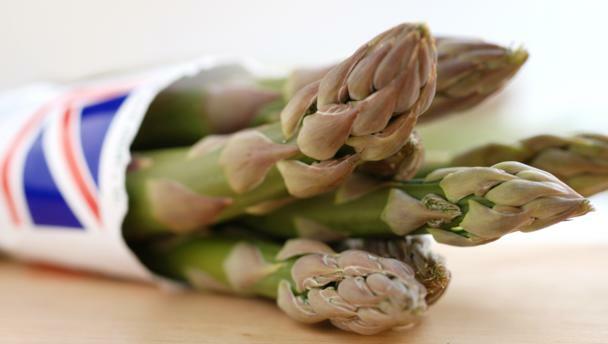 British classics pave the way to summer, led by majestic Jersey Royals and May’s crowning glory, asparagus. Make a meal of these seasonal big-hitters with tender young lamb and samphire. Forget cabbage soup: inject colour into a grey month with dazzling seasonal dishes. Pep up steamed puddings with January's star turns, Seville and blood oranges. Wage war on the cold with fortifying tagines, hearty stews and comfort food. Try roast venison with kale and or fish pies boasting fresh clams and mussels. Finish things off with rhubarb crumble. As the days get longer, help yourself to fresh seasonal flavours. Stuff cockles into a rustic paella, serve grilled sardines with lemon wedges and sprouting broccoli, or wow with native oysters. April's seasonal ingredients peak like soufflés, so make the most of them before they run out of puff. Get cracking with your crabs, pick your own watercress and go wild for morels. Strawberries are summer's stand-out sensation, but it's just not tennis without the rest of the seasonal berries. Broad beans, tomatoes and fresh peas are also unmissable in June. Pack a hamper and escape to the country this July. Grilled artichokes, fennel, salads and mackerel couscous all travel well; plump cherries and luscious peaches are a fail-safe finish. Make August meals al fresco. Start with delicate scallops, then fire up the grill and barbecue sea bass, homemade burgers or courgettes. Finish with a simple plate of ripe apricots. The first oysters fresh off the boat are, frankly, irresistible, but the rest of September’s harvest can be saved for deep midwinter. Preserve apples and freeze blackberries for use in wintry fruit pies. Pumpkins hog the limelight in October, but don't forget less showy seasonal fare. Celebrate the game season with slow-cooked pheasant, wild mushrooms and hearty root vegetables. The first frosts yield the sweetest parsnips, to be served alongside Jerusalem artichokes in a slap-up roast, or blitzed into a spicy soup. Sweet roast chestnuts and juicy satsumas also come to the force.